This set of a pair of bead rakhisstrikes a great balance because of the color of the beads that are striking and complement each other perfectly. And what could be better as sweet than kesar barfi. 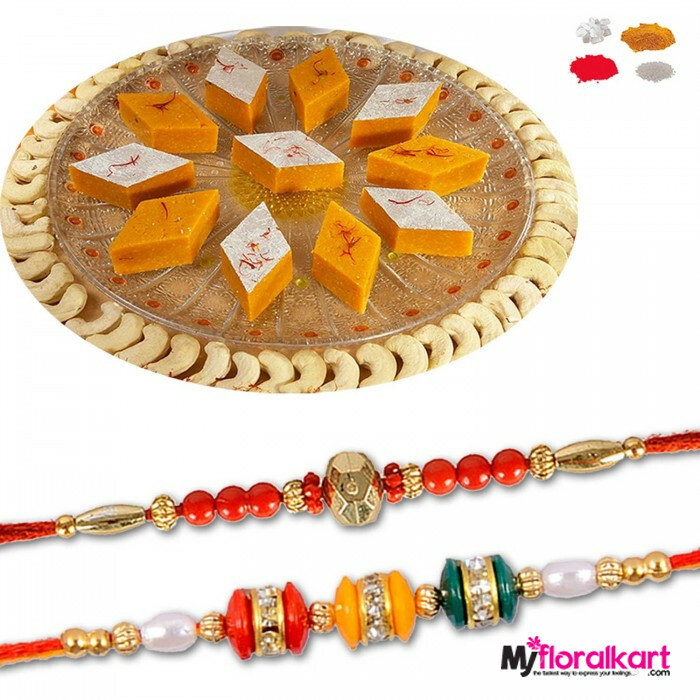 This offering gives that ideal taste and look.Due to these being courier items you’ll be given them a week from the day you ordered them.